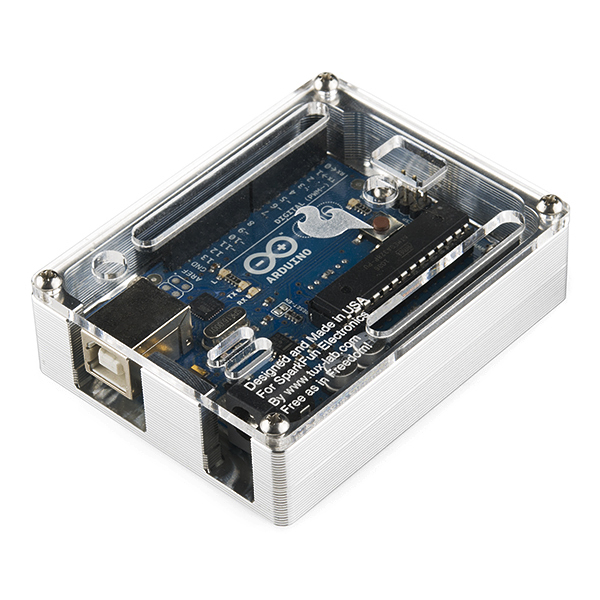 We've seen quite a few Arduino enclosures come and go, but few of them were quite this sturdy (or quite this pretty). The TuxCase from Tux-Lab is a nice snug enclosure for Uno style Arduino boards that is machined out of a chunk of 6061 extruded aluminum bar stock. A .118" thick acrylic cover protects the top side of the board while letting you see the status LEDs and providing access to things like the GPIO, ISP header and reset button. 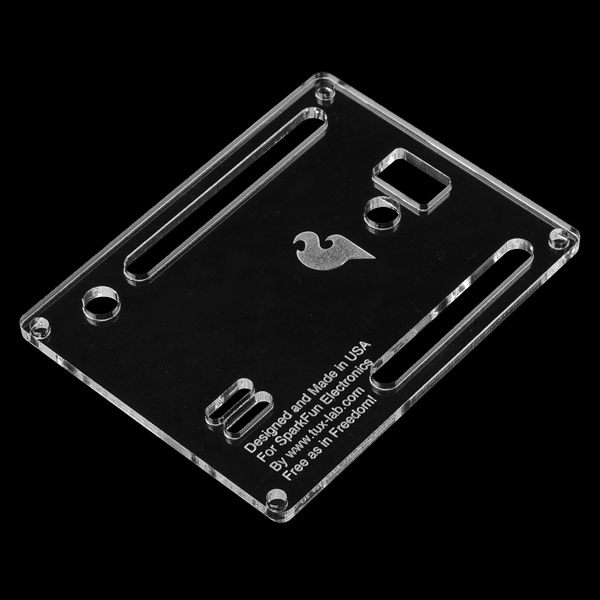 Of course there are openings milled out for the USB and barrel jack connectors so you can easily connect power to the board in the enclosure. 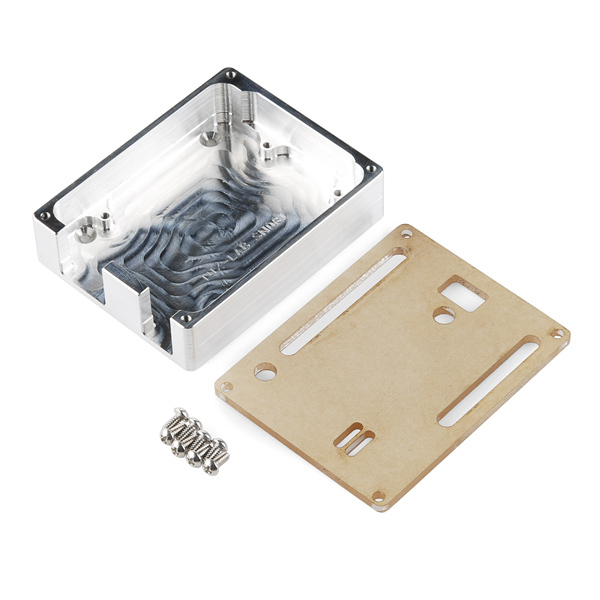 Eight 4-40 screws are included for attaching the Arduino board to the enclosure and for securing the acrylic cover. Also, there are four additional mounting hole drilled and chamfered at 100 degrees into the base of the enclosure. Note: Shields will work with this case, but they will need long headers. 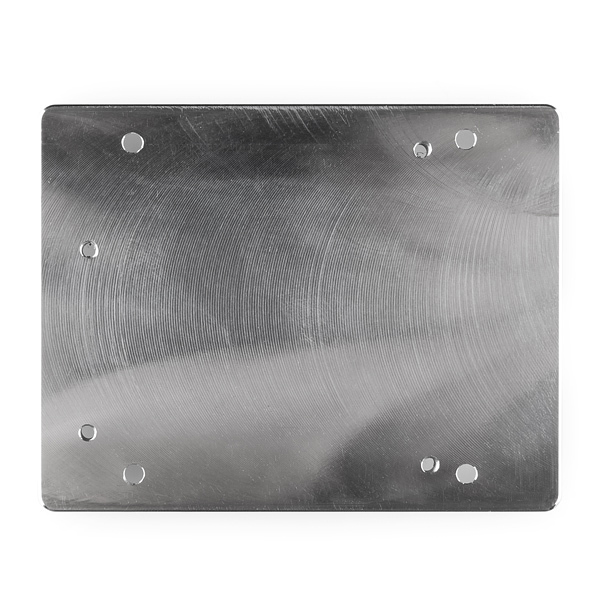 If you have a shield that has through-hole components, the clearance might not be enough. 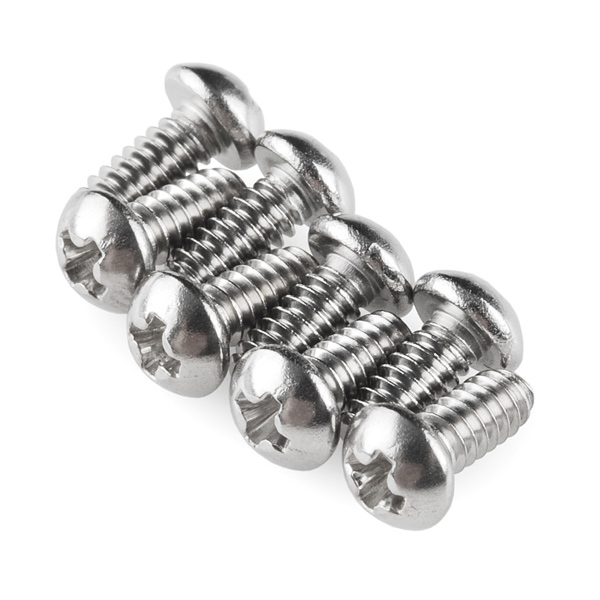 Use some of the stackable headers (in the related products below) to gain extra clearance. 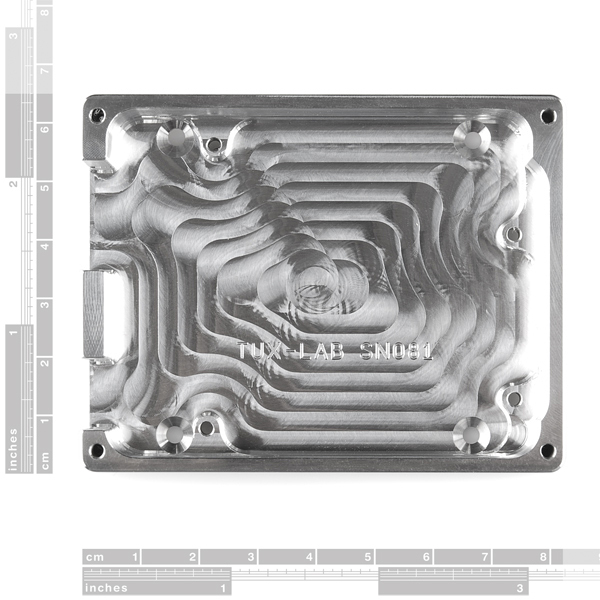 Will an Arduino Ethernet w/o POE fit in this encolsure? Wait, did you just give us the CAD file so we can make our own? Also it isn't that unusual for commercial enclosure manufacturers, e.g. Hammond Manufacturing, to make CAD files as well as dimensional drawings available for their products. The additional certainty and service this gives potential customers, especially those buying in quantity, would more than compensate for any sales lost from DIYer's occasionally rolling there own. Also, even if you have an appropriate 3D printer or CNC machining rig, it can take multiple hours per unit of this size. If you need more than a few it's just faster (and often not more expensive) to buy off-the-self enclosures. Luckily I have access to a CNC and a laser cutter that can pump these things out no problem. Though, for me, I wouldn't waste my time unless I needed more than one. However, making some edits to the design so I can house a shield or other components, might be worth it. How about a pic with an Uno inside and assembled. I'd like to see how the headers line up. Go to the product page & you'll get a good pic of it in the case. yep, working on it. also, I'm shooting a video in 5 minutes showing it. Any chance of a Mega version? Fantastic product!!!!!!!! Love it!!! Hope there soon will be a version for the Arduino Mega! I need a few of them. Thanks for a great product! joshl, I don't think they actually touch since the holes for the mounting are sufficiently elevated from the bottom of the enclosure. Definitely one of the nicer looking enclosures out there, for us who likes the industrial chic. Thanks for the CAD files, might try to make a hardwood version as well. how does the arduino keep from shorting while all the bottom solder points touch the aluminum? I can't seem to find a CAD file or dimensional drawings for the top, happen to know where these are? 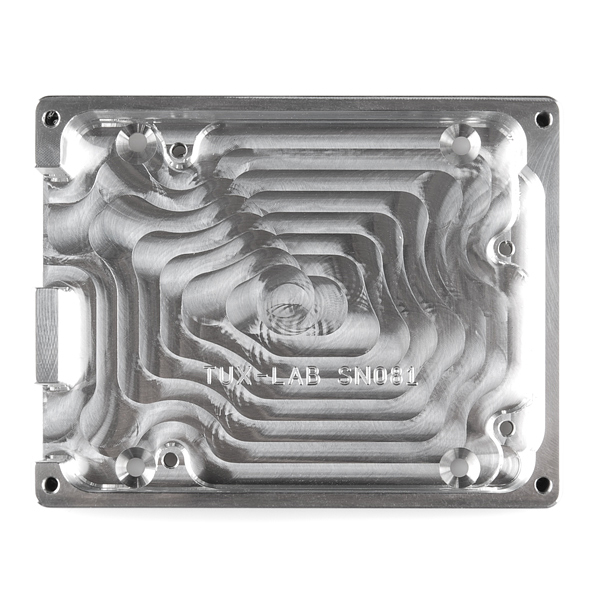 Any chance that you have the g-code to machine one of these? g-code is pretty tool and machine specific. You'd want to start with the CAD files which are provided. How about one for the Raspberry Pi? True, but there are only so many ways to machine something like this.